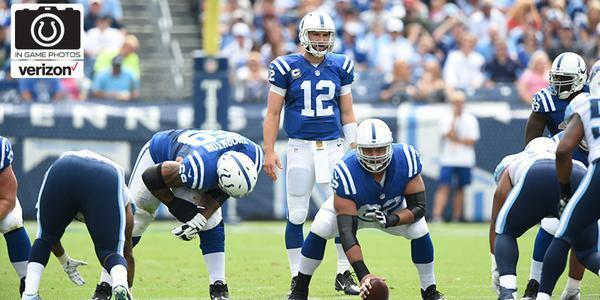 The Colts look for their first win of the season. 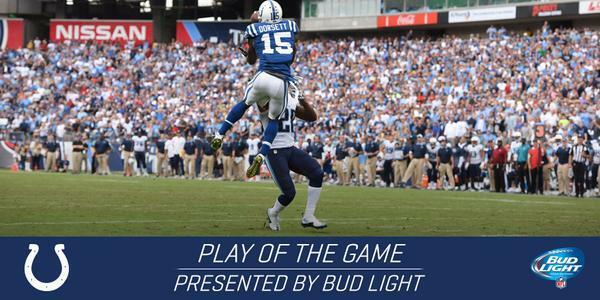 One heck of a play by the rookie Dorsett. That was not exactly a great throw by Luck. The catch, however, was. Hahahahaha.... Doodoo water alert temporarily lifted. 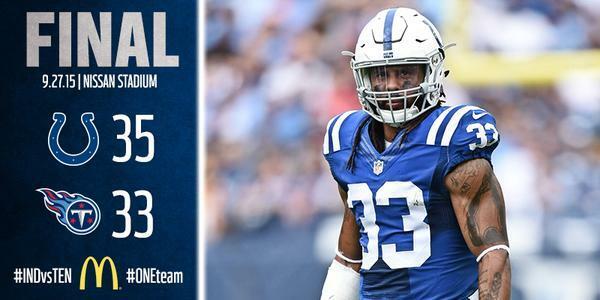 I see you, Vontae.... More props to the D for finding that second wind. Luck is definitely hurting. Not good. Frank Gore does it again! And now Mathis. Of course. Football is a crazy game. 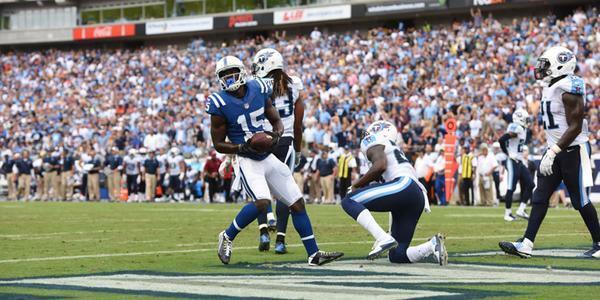 The @Titans two-point conversion was no good. Tired of talking about losses. This will be much more interesting to discuss.